Important Copyright Notice: This material is presented to ensure timely dissemination of scholarly and technical work. Copyright and all rights therein are retained by authors or by other copyright holders. All persons copying this information are expected to adhere to the terms and constraints invoked by each author's copyright. In most cases, these works may not be reposted without the explicit permission of the copyright holder. P. K. Atrey, B. Trehan and M. K. Saini. Watch Me from Distance (WMD): A privacy-preserving long-distance video surveillance system. ACM Transactions on Multimedia Computing Communications and Applications (TOMM) (Accepted February 2019). P. Singh and P. K. Atrey. Recovering tampered regions in encrypted video using POB number system. Elsevier Signal Processing: Image Communication, 74:96-109 (2019). Q. Huang, V. K.Singh and P. K. Atrey. On cyberbullying incidents and underlying online social relationships. Springer Journal of Computational Social Science. Volume 1, Issue 2, pp 241�260 (2018). G. Varshney, M. Misra and P. K. Atrey. Secure authentication scheme to thwart RT MITM, CR MITM and malicious browser extension based phishing attacks. Elsevier Journal of Information Security and Applications, Vol. 42, pp 1-17 (2018). D. Puneeth, N. Joshi, P. K. Atrey and M. Kulkarni. Energy efficient and reliable data collection in wireless sensor networks. Turkish Journal of Electrical Engineering and Computer Science, 26: 138 -149 (2018). A. Yakubu, N. Maddage and P. K. Atrey. Securing speech noise eeduction in outsourced environment. ACM Transactions on Multimedia Computing, Communication and Applications. Vol. 13, No. 4, Article 51 (2017). P. Singh, B. Raman, N. Agarwal and P. K. Atrey. Secure cloud based image tampering detection and localization using POB number system. ACM Transactions on Multimedia Computing, Communications and Applications, Vol. 13, No. 3, Article 23 (2017). G. Varshney, M. Mishra and P. K. Atrey. A survey and classification of web phishing detection schemes. Wiley Security and Communication Networks Journal, 9:6266-628 (2016). G. Varshney, M. Mishra and P. K. Atrey. A phish detector using lightweight search features. Elsevier Computers & Security Journal, Vol. 62, pp 213-228 (2016). S. Bhardwaj, P. K. Atrey, M. K. Saini and A. El Saddik. Personality assessment using multiple online social networks. Springer Int. J. Multimedia Tools and Applications, 75(21):13237-13269 (2016). S. Bhadravati, P. K. Atrey and M. Khabbazian. Scalable secret sharing of compressed multimedia. Elsevier Int. J. Information Security and Applications, Vol. 23, pp 8-27 (2015). M. Mohanty, W.T. Ooi, and P. K. Atrey. Secret sharing approach for securing cloud-based pre-classification volume ray-casting. Springer Int. J. Multimedia Tools and Applications, 75(11):6207-6235 (2016). H. Al Najjar, S. Alharthi and P. K. Atrey. Secure image sharing method over unsecured channels. Springer Int. J. Multimedia Tools and Applications, 75(4):2249-2274 (2016). P. Natrajan, P. K. Atrey and M. S. Kankanhalli. Multi-camera coordination and control in surveillance systems: a survey. ACM Transactions on Multimedia Computing, Communications and Applications, Volume 11 Issue 4, Article No. 57 (2015). A. Lathey and P. K. Atrey. Image enhancement in encrypted domain over cloud. ACM Transactions on Multimedia Computing, Communications and Applications, Vol. 11, No. 3, Article 38 (2015). H. Agarwal, P. K. Atrey and B. Raman. Image watermarking in real oriented wavelet transform domain. Springer Int. J. Multimedia Tools and Applications, 74(23):10883-10921 (2015). M. Saini, P. K. Atrey and A. El Saddik. From smart camera to smarthub: embracing cloud for video surveillance. Special issue on "Emerging Sensor-Cloud Technology for Pervasive Services and Applications" at Hindawi International Journal of Distributed Sensor Networks, Volume 2014, Article ID 757845, 10 pages (2014). G. Bhatnagar, A. Saha, J. Wu and P. K. Atrey. Analysis and extension of multiresolution singular value decomposition. Elsevier Journal of Information Sciences, Volume 277, Pages 247-262 (2014). G. Bhatnagar, J. Wu and P. K. Atrey. Robust logo watermarking using biometrics inspired key generation. Elsevier Journal of Expert Systems with Applications, 41(10):4563-4578 (2014). P. K. Atrey, S. Alharthi, M. A. Hossain, A. AlGhamdi and A. El Saddik. Collective control over sensitive video data using secret sharing. Springer Int. J. Multimedia Tools and Applications, 73(3):1459-1486 (2014). K. Amriki and P. K. Atrey. Bus surveillance: How many and where cameras should be placed. Springer Int. J. Multimedia Tools and Applications, 71(3):1051-1085 (2014). M. Saini, P. K. Atrey, S. Mehrotra, and M S. Kankanhalli. W3-Privacy: Understanding what, when, and where inference channels in multi-camera surveillance video. Springer Int. J. Multimedia Tools and Applications, 68(1):135-158 (2014). D. T. Ahmed, M. A. Hossain, S. Shirmohamadi, A. Alghamdi, P. K. Atrey and A. El Saddik. Utility based decision support engine for camera view selection in multimedia surveillance systems. Springer Int. J. Multimedia Tools and Applications, 73(1):219-240 (2014). G. Bhatnagar, J. Wu and P. K. Atrey. Secure randomized image watermarking based on singular value decomposition. ACM Transactions on Multimedia Computing, Communications and Application, Volume 10, Issue 1, Article No. 4 (2013). C. Bhatt, P. K. Atrey and M. S. Kankanhalli. A reward and punishment based approach for concept detection using adaptive ontology rules. ACM Transactions on Multimedia Computing, Communications and Applications, Volume 9 Issue 2, Article No. 10 (2013). M. Saini, P. K. Atrey, S. Mehrotra, and M S. Kankanhalli. Privacy aware publication of surveillance video. Inderscience Int. J. of Trust Management in Computing and Communications, Vol.1, No.1, pp. 23-51, (2013). R. Bisewski and P. K. Atrey. Modeling, simulation and analysis of a weaponry-equipped camera surveillance system. Hyperscienes Int. J. Modeling and Simulations of Systems, 3(1):4-13 (2012). M. Saini, X. Wang, P. K. Atrey, and M S. Kankanhalli. Adaptive workload equalization in multi-camera surveillance systems. IEEE Transactions on Multimedia, 14(3):555-562 (2012). C. Bhatt, P. K. Atrey, and M S. Kankanhalli. Concept based near duplicate video clip detection for novelty re-ranking of web video search results. Springer Multimedia Systems Journal, 18(4):337-358 (2012). P. K. Atrey, H. Ibrahim, M. A. Hossain, S. Ramanna, and A. El Saddik. Determining trust in media-rich websites using semantic similarity. Springer Int. J. of Multimedia Tools and Applications, 60(1):69-96 (2012). M. A. Hossain, P. K. Atrey, and A. El Saddik. Modeling and assessing quality of information in multi-sensor multimedia monitoring systems. ACM Transactions on Multimedia Computing, Communications and Applications, Vol. 7 Issue 1 (2011). P. K. Atrey, A. El Saddik, and M. S. Kankanhalli. Effective multimedia surveillance using a human-centric approach. Special Issue on "Hot Topics in Multimedia Research" at Springer Int. J. of Multimedia Tools and Applications, 51(2):697-721 (2011). P. K. Atrey, M. A. Hossain, A. El Saddik, and M. S. Kankanhalli. Multimodal fusion for multimedia analysis: A survey. Springer Multimedia Systems Journal, 16(6):345-379 (2010). M. A. Hossain, J. Parra, P. K. Atrey, and A. El Saddik. A framework for human-centered provisioning of ambient media services. Springer Int. J. of Multimedia Tools and Applications, 44(3):407-431 (2009). M. A. Hossain, P. K. Atrey, and A. El Saddik. Learning multisensor confidence using a reward-and-punishment mechanism. IEEE Transactions on Instrumentation and Measurement, 58(5):1525-1534 (2009). P. K. Atrey and A. El Saddik. Confidence evolution in multimedia systems. IEEE Transactions on Multimedia, 10(7):1288-1298 (2008). M. A. Hossain, P. K. Atrey, and A. El Saddik. Gain-based selection of ambient media services in pervasive computing environments. Springer Journal of Mobile Networks and Applications, 13(6): 599-613 (2008). P. K. Atrey, M. A. Hossain, and A. El Saddik. Association-based dynamic computation of reputation in web services. Inderscience Int. J. Web and Grid Services, 4(2):169-188 (2008). V. K. Singh, P. K. Atrey and M. S. Kankanhalli. Coopetitive multi-camera surveillance using model predictive control. Springer Journal of Machine Vision and Applications, 19(5-6):375-393, (2008). P. K. Atrey and M. S. Kankanhalli and John B. Oommen. Goal-oriented optimal subset selection of correlated multimedia streams. ACM Transactions on Multimedia Computing, Communications and Applications, Vol. 3, Issue 1, Article 2 (2007). P. K. Atrey, W.-Q. Yan and M. S. Kankanhalli. A scalable signature scheme for video authentication. Springer Int. J. of Multimedia Tools and Applications, 34(1): 107-135 (2007). P. K. Atrey, M. S. Kankanhalli and R. Jain. Information assimilation framework for event detection in multimedia surveillance systems. 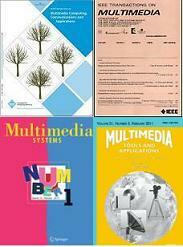 Springer/ACM Multimedia Systems Journal, Vol. 12, No. 3, pp 239-253 (2006). S. Parikh, V. Patil, R. Makawana and P. K. Atrey. Towards impact scoring of fake news. The 2nd IEEE Workshop on Fake Multimedia (FakeMM'19) with the IEEE International Conference on Multimedia Information Processing and Retrieval (MIPR'2019), San Jose, CA, USA, March 2019. S. Parikh, V. Patil and P. K. Atrey. On the origin, proliferation and tone of fake news. The 2nd IEEE International Conference on Multimedia Information Processing and Retrieval (MIPR'2019), San Jose, CA, USA, March 2019. M. Shah, M. Mohanty and P. K. Atrey. SecureCSearch: Secure searching in PDF over untrusted cloud servers. The 2nd IEEE International Conference on Multimedia Information Processing and Retrieval (MIPR'2019), San Jose, CA, USA, March 2019. A. C. Pasera, V. Patil, and P. K. Atrey. GeoSClean: Secured computing of GPS trajectory similarity: a review. The 2nd ACM SIGSPATIAL Workshop on Recommendations for Location-based Services and Social Networks (LocalRec 2018) (LocalRec'2018), Seattle, WA, USA, November 2018. S. Parikh and P. K. Atrey. Media-rich fake news detection: A survey. The 1st IEEE Workshop on Fake Multimedia (FakeMM'18) in conjunction with the 1st IEEE International Conference on Multimedia Information Processing and Retrieval (MIPR'2018), Miami, FL, USA, April 2018. N. Sharma, P. Singh and P. K. Atrey. SecureCMerge: Secure PDF merging over untrusted servers. The 1st IEEE International Conference on Multimedia Information Processing and Retrieval (MIPR'2018), Miami, FL, USA, April 2018. V. Patil, P Singh, S. Parikh and P. K. Atrey. GeoSClean: Secure cleaning of GPS trajectory data using anomaly detection. The 1st IEEE International Conference on Multimedia Information Processing and Retrieval (MIPR'2018), Miami, FL, USA, April 2018. A. Agarwala, P Singh and P. K. Atrey. Client side secure image deduplication using DICE protocol. The 1st IEEE International Conference on Multimedia Information Processing and Retrieval (MIPR'2018), Miami, FL, USA, April 2018. G. Varshney, M. Misra and P. K. Atrey. Detecting spying and fraud browser extensions. The 1st ACM International Workshop on Multimedia Privacy and Security (MPS'17) in conjunction with the 24th ACM Conference on Computer and Communication Security (CCS'17), Dallas, TX, USA, October 2017. G. Varshney, M. Misra and P. K. Atrey. Secure authentication using BLE smart devices. The 11th IEEE International Conference on Anti-counterfeiting, Security, and Identification (ASID'17), Xiamen, China, October 2017. V. Patil, S. Parikh, P. Singh and P. K. Atrey. GeoSecure: Towards secure outsourcing of GPS data over cloud. The 3rd IEEE Workshop on Security and Privacy in the Cloud (SPC 2017) in conjunction with IEEE Conference on Communications and Network Security (CNS 2017), Las Vegas, NV, USA, October 2017. P. Iyer, P. K. Atrey, G. Varshney and M. Mishra. Email spoofing detection using volatile memory forensics. The 3rd IEEE Network and Cloud Forensics Workshop (NFW 2017) in conjunction with IEEE Conference on Communications and Network Security (CNS 2017), Las Vegas, NV, USA, October 2017. A. Agarwala, P Singh and P. K. Atrey. DICE: A dual integrity convergent encryption protocol for client side secure data deduplication. The 2017 IEEE International Conference on Systems, Man, and Cybernetics (SMC'2017), Banff, Canada, October 2017. P. Singh, S. Arora, K. Williamson and P. K. Atrey. S3Email: A method for securing emails from service providers. The 2017 IEEE International Conference on Systems, Man, and Cybernetics (SMC'2017), Banff, Canada, October 2017. G. Varshney, M. Mishra and P. K. Atrey. Improving the accuracy of search engine based anti-phishing solutions using lightweight features. The 11th International Conference for Internet Technology and Secured Transactions, Barcelona, Spain, December 2016. S. Arora, G. Varshney, P. K. Atrey and M. Mishra. SecureCEdit: An approach for secure cloud-based document editing. The 2nd IEEE Workshop on Security and Privacy in the Cloud (SPC 2016) in conjunction with IEEE Conference on Communications and Network Security (CNS 2016), Philedelphia, PA, USA, October 2016. V. K. Singh, Q. Huang and P. K. Atrey. Cyberbullying detection using probabilistic socio-textual information fusion. International Symposium on Foundations of Open Source Intelligence and Security Informatics (FOSINT-SI 2016) in conjunction with (ASONAM 2016), San Francisco, CA, USA, August 2016. A. Yakubu, N. C. Maddage, and P. K. Atrey. Encrypted domain cloud-based speech noise reduction with comb filter. The first IEEE International Workshop on "Privacy Issues in Multimedia" (PIM'16) in conjunction with IEEE International Conference on Multimedia and Expo (ICME'16), Seattle, WA, USA, July 2016. O.-A. Kristensen, M. Mohanty, and P. K. Atrey. Don�t See Me, Just Edit Me: Towards Secure Cloud-based Video Editing. The 11th Annual Symposium on Information Assurance in conjunction with The 19th New York State Cyber Security Conference (ASIA'16), pp 74-78, Albany, NY, USA, June 2016. H. Agarwal, B. Raman, P. K. Atrey and M. S. Kankanhalli. Analysis of comparators for binary watermarks. The International Conference on Computer Vision and Image Processing (CVIP'16), Roorkee, India, February 2016. A. Tripathi, V. K. Singh, S. Hossain, P. K. Atrey and A. 'Sandy' Pentland. I know how to persuade you if I know your personality: The effect of personality on social persuasion in quantified-self scenarios. Poster at the 2015 Social Media & Society Conference (SMSociety'15), Toronto, Canada, July 2015. A. Tripathi, V. K. Singh, S. Hossain and P. K. Atrey. Assessing personality using demographic information from social media data. The 2015 Social Media & Society Conference (SMSociety'15), Toronto, Canada, July 2015. A. Yakubu, N. C. Maddage, and P. K. Atrey. Secure audio reverberation over cloud. The 10th Annual Symposium on Information Assurance in conjunction with The 18th New York State Cyber Security Conference (ASIA'15), pp 39-43, Albany, NY, USA, June 2015. A. Yakubu, N. C. Maddage and P. K. Atrey. Audio secret management scheme using Shamir's secret sharing. The 21st International Conference on Multimedia Modeling (MMM'15), Volume 8935, pp 396-407, Sydney, Australia, January 2015. K. Kansal, M. Mohanty and P. K. Atrey. Scaling and cropping of wavelet-based compressed images in hidden domain. The 21st International Conference on Multimedia Modeling (MMM'15), Volume 8935, pp 430-441, Sydney, Australia, January 2015. M. Mohanty, C. Gehrmann and P. K. Atrey. Avoiding weak parameters in secret image sharing. IEEE International Conference on Visual Communications and Image Processing (VCIP'14), Valletta, Malta, December 2014. Q. Huang, V. K. Singh and P. K. Atrey. Cyber bullying detection using social and textual features. The 3rd ACM MM Workshop on Socially Aware Multimedia (IWSAM14), Orlando, FL, USA, November 2014. M. Moski and P. K. Atrey. An intuitive touch screen interface for car remote control. The 1st ACM Multimedia Workshop on Emerging Multimedia Applications and Services for Smart Cities (EMASC14), Orlando, FL, USA, November 2014. S. Bhardwaj, M. Saini, P. K. Atrey and A. El Saddik. Personalized ambient environments using multiple social networks. The 2nd IEEE ICME International Workshop on Ambient Multimedia and Sensory Environment (AMUSE'14), Chengdu, China, July 2014. M. Mohanty, W.-T. Ooi and P. K. Atrey. Secure cloud-based volume ray-casting. IEEE International Conference on Cloud Computing Technology and Services (CloudCom'2013), December 2013, Bristol, UK. K. Senevirathna and P. K. Atrey. A secure and privacy-aware cloud-based architecture for online social networks. The 7th Multi-Disciplinary International Workshop on Artificial Intelligence (MIWAI'2013), December 2013, Krabi, Thailand. H. Agarwal, B. Raman and P. K. Atrey. Watermarking schemes to secure the face database and test images in a biometric system. The IEEE International Conference on Signal and Image Processing Applications (ICSIPA'2013), October 2013, Melaka, Malaysia. S. B. Sredhara, M. Khabbazian and P. K. Atrey. On the semantic security of secret image sharing methods. IEEE International Conference on Semantic Computing (ICSC'2013), September 2013, Irvine, CA, USA. A. Lathey, P. K. Atrey and N. Joshi. Homomorphic low pass filtering on encrypted multimedia over cloud. IEEE International Conference on Semantic Computing (ICSC'2013), September 2013, Irvine, CA, USA. M. Mohanty, W.-T. Ooi and P. K. Atrey. Scale me, crop me, know me not: Supporting scaling and cropping in secret image sharing. IEEE International Conference on Multimedia and Expo (ICME'2013), July 15-19, 2013, San Jose, CA, USA. M. Mohanty, P. K. Atrey and W.-T. Ooi. Secure cloud-based medical data visualization. The ACM International Conference on Multimedia (ACMMM'12), October 29-November 2, 2012, Nara, Japan. T. Atrey, P. Gupta and P. K. Atrey. Unobtrusive map navigation using eye tracking. The 25th Canadian Conference on Electrical and Computer Engineering, April 29-May 2, 2012, Montreal, Canada. P. K. Atrey. A secret sharing based privacy enforcement mechanism for untrusted social networking operators. Proc. of the ACM International Conference on Multimedia - Workshop on Multimedia in Forensics and Intelligence (MiFor 2011), pp 13-18, November 28 -December 1, 2011, Scottsdale, AZ, USA. R. Bisewski and P. K. Atrey. Toward a remote-controlled weapon-equipped camera surveillance system. Proc. of the 23rd IEEE International Conference on Tools with Artificial Intelligence - Workshop on International Symposium on Monitoring & Surveillance Research: Healthcare-Safety-Security (ISMSR 2011), pp 1087-1092, November 9, 2011, Boca Raton, FL, USA. P. K. Atrey, K. Hildebrand and S. Ramanna. An efficient method for protection of text documents using secret sharing. International Conference on Frontiers of Computer Science (ICFocs'2011), August 2011, Bangalore, India. K. Amriki and P. K. Atrey. Towards optimal placement of surveillance cameras in a bus. IEEE ICME Workshop on Advances in Automated Multimedia Surveillance of Public Safety (AAMS-PS'2011), July 2011, Barcelona, Spain. M. Saini, P. K. Atrey, S. Mehrota and M. S. Kankanhalli. Anonymous surveillance. IEEE ICME Workshop on Advances in Automated Multimedia Surveillance of Public Safety (AAMS-PS'2011), July 2011, Barcelona, Spain. M. Saini, X. Wang, P. K. Atrey and M. S. Kankanhalli. Dynamic workload assignment in video surveillance systems. IEEE International Conference on Multimedia and Expo (ICME'2011), July 2011, Barcelona, Spain. S. Alharthi, P. K. Atrey and M. S. Kankanhalli. Secret video sharing. APSIPA Annual Summit and Conference 2010 (APSIPA-ASC 2010), December 2010, Singapore. S. Alharthi and P. K. Atrey. Further improvements on secret image sharing scheme. ACM Multimedia 2010 Workshop on Multimedia in Forensics, Security and Intelligence (MiFor'2010), October 2010, Firenze, Italy. M. Saini, P. K. Atrey, S. Emmanuel and M. S. Kankanhalli. Functionality delegation in distributed surveillance systems. IEEE International Conference on Advanced Video and Signal-Based Surveillance - Workshop on Multimedia Systems for Surveillance (MMSS'2010), pp 72-79, August, 2010, Boston, USA. S. Alharthi and P. K. Atrey. An improved scheme for secret image sharing. IEEE ICME Workshop on Content Protection and Forensics (CPAF), pp 1661-1665, July 2010, Singapore. M. Saini, P. K. Atrey, S. Mehrotra, S. Emmanuel and M. S. Kankanhalli. Privacy modeling for video data publication. IEEE International Conference on Multimedia and Expo(ICME'2010), pp 60-65, July 2010, Singapore. B. Barake, P. K. Atrey, M. A. Hossain, and A. El Saddik. Human-coordinated camera control for monitoring public spaces. International Conference on Information Sciences, Signal Processing and their Applications (ISSPA'2010) May 2010, Kuala Lumpur, Malaysia. S. Guest, P. K. Atrey and S. Emmanuel. PEER: An effective and efficient personal website organizer. IEEE TENCON Conference (TENCON'2009), pp 1-6, November 2009, Singapore. P. K. Atrey. A hierarchical model for representation of events in multimedia observation systems. ACM International Workshop on Events in Multimedia (EiMM'2009), pp 57-64, October 2009, Beijing, China. B. Barake, P. K. Atrey, J. Zhao and A. El Saddik. A user friendly mobile device interface to assist security officers in physical monitoring at public places. ACM International Workshop on Ambient Media Computing: Part 1: Sensory Media Systems and Applications (iWAM'2009), pp 29-36, October 2009, Beijing, China. P. Zhang, S. Emmanuel, P. K. Atrey and M. S. Kankanhalli. Spatiotemporal latent semantic cues for moving people tracking. The 34th IEEE International Conference on Acoustics, Speech, and Signal Processing (ICASSP'2009), pp 3533-3536, April, 2009, Taipei, Taiwan. M. A. Hossain, P. K. Atrey and A. El Saddik. Dynamic gain estimation in ambient media services. The 1st ACM International Workshop on Semantic Ambient Media Experience (SAME'2008), pp 49-56, October, 2008, Vancover, BC, Canada. M. A. Hossain, P. K. Atrey and A. El Saddik. Context-aware QoI computation in multisensor systems. First IEEE Workshop on Quality of Information for Sensor Networks (QoISN 2008), Sep-Oct 2008, Atlanta, Georgia, USA. P. K. Atrey, M. A. Hossain and A. El Saddik. Automatic scheduling of CCTV camera views using a human-centric approach. IEEE International Conference on Multimedia and Expo (ICME 2008), June 2008, Hannover, Germany. P. K. Atrey and A. El Saddik. Ambient aware authentication of digital evidences. The 21st Canadian Conference on Electrical and Computer Engineering (CCECE 2008), pp 2037-2040, May 2008, Niagara Falls, Ontario, Canada. M. A. Hossain, P. K. Atrey and A. El Saddik. Managing ambient media preferences in distributed environments for service personalization. International Symposium on Parallel Architectures, Algorithms, and Networks (I-SPAN 2008), pp. 204-209, May 2008, Sydney, Australia. M. A. Hossain, P. K. Atrey and A. El Saddik. Learning multi-sensor confidence using difference of opinions. IEEE International Instrumentation and Measurement Technology Conference (I2MTC 2008), May 2008, Victoria, British Columbia, Canada. P. K. Atrey, M. A. Hossain and A. El Saddik. A method for computing the reputation of multimedia services through selection and composition. Fifteenth Annual IS&T/SPIE Conference on Multimedia Computing and Networking (MMCN'2008), Vol. 6818, pp H1-H8, January 30-31, 2008, San Jose, California, USA. P. K. Atrey, M. A. Hossain, and A. El Saddik. A multimedia-based system for monitoring sleepwalkers. IEEE International Conference on Signal Processing and Communications (ICSPC'2007), pp 1459-1462, November, 2007, Dubai, UAE. S. Pullola, P. K. Atrey, and A. El Saddik. Towards an intelligent GPS-based vehicle navigation system for finding street parking lots. IEEE International Conference on Signal Processing and Communications (ICSPC'2007), pp 1251-1254, November, 2007, Dubai, UAE. H. Ibrahim, P. K. Atrey, and A. El Saddik. Semantic similarity based trust computation in websites. The 1st ACM International Workshop on The Many Faces of Multimedia Semantics (WMS'2007), pp 65-72, September, 2007, Augsburg, Germany. M. A. Hossain, P. K. Atrey, and A. El Saddik. Smart mirror for ambient home environment. 3rd IET International Conference on Intelligent Environments (IE'2007), pp 589-596, September, 2007, Ulm, Germany. M. A. Hossain, P. K. Atrey, and A. El Saddik. Modeling quality of information in multimedia surveillance systems. The 1st IEEE International Workshop on Ambient Intelligence, Media, and Sensing (AIMS'2007), pp 11-18, April, 2007, Istanbul, Turkey. P. K. Atrey, M. S. Kankanhalli and A. El Saddik. Confidence building among correlated streams in multimedia surveillance systems. The 13th International Conference on Multimedia Modeling (MMM'2007), pp 155-164, January, 2007, Singapore. V. K. Singh, P. K. Atrey and M. S. Kankanhalli. Coopetitive multimedia surveillance. The 13th International Conference on Multimedia Modeling (MMM'2007), pp 343-352, January, 2007, Singapore. K. G. Sivarama , P. K. Atrey, V. K. Singh, K. Ramakrishnan and M. S. Kankanhalli. A design methodology for selection and placement of sensors in multimedia surveillance systems. The 4th ACM International Workshop on Video Surveillance and Sensor Networks (ACM VSSN'06), pp 121-130, October, 2006, Santa Barbara, California, USA. K. Vaiapury, P. K. Atrey, M. S. Kankanhalli and K. Ramakrishnan. Non-identical duplicate detection in video using the SIFT method. IET International Conference on Visual Information Engineering (VIE'2006), pp 537-542, September, 2006, Bangalore, India. P. K. Atrey, V. Kumar, A. Kumar and M. S. Kankanhalli. Experiential sampling based foreground/background segmentation for video surveillance. IEEE International Conference on Multimedia and Expo (ICME'2006), pp 1809-1812, July, 2006, Toronto, Canada. P. K. Atrey, N. C. Maddage and M. S. Kankanhalli. Audio based event detection for multimedia surveillance. IEEE International Conference on Acoustics, Speech, and Signal Processing (ICASSP'2006), pp V813-816, May, 2006, Toulouse, France. P. K. Atrey, M. S. Kankanhalli and R. Jain. Timeline-based information assimilation in multimedia surveillance and monitoring systems, 3rd ACM International Workshop on Video Surveillance and Sensor Networks (ACM VSSN'05), pp 103-112, November, 2005, Singapore. V. K. Singh and P. K. Atrey. Coopetitive visual surveillance using model predictive control. The 3rd ACM International Workshop on Video Surveillance and Sensor Networks in conjunction with ACM Multimedia 2005 (ACM VSSN'05), pp 149-158, November, 2005, Singapore. P. K. Atrey and M. S. Kankanhalli. Goal based optimal selection of media streams. IEEE International Conference on Multimedia & Expo (ICME'05), pp 305-308, July, 2005, Amsterdam, The Netherlands. P. K. Atrey and M. S. Kankanhalli. Probability fusion for correlated multimedia streams. ACM International Conference on Multimedia (MM'04), pp 408-411, October, 2004, New York City, NY, USA. P. K. Atrey, W.-Q. Yan, E.-C. Chang and M. S. Kankanhalli. A hierarchical signature scheme for robust video authentication using secret sharing. The 10th International Multi-Media Modelling Conference (MMM'04), pp 330-337, January, 2004, Brisbane, Australia. P. K. Atrey and N. Rajpal. Efficient representation of contours and its applications. The 7th International Workshop on Advanced Image Technology (IWAIT'04), pp 353-357, January, 2004, Singapore. P. K. Atrey, A. De and N. Rajpal. Polynomial representation of 2-D image boundary contours. IEEE Region 10 Conference on Computers, Communications, Control and Power Engineering (TENCON '02), Vol. 1, pp 257- 260, October 2002, Beijing, China. P. K. Atrey, S. Dhawan and N. Rajpal. Minimizing the control points and studying the behavior of resulting 2D/3D curves. All India Seminar on Computer Communication and Networks (CCN '01), pp 76-79, November 2001, Indian Institute of Technology, Roorkee, India. P. K. Atrey, A. Lathey and A. Yakubu. Encrypted domain multimedia content analysis. In Frontiers of Multimedia Research, Eds. S.-F. Chang, (Chapter 4), Association for Computing Machinery and Morgan & Claypool, pp 75-104, (2018). G. Varshney, M. Misra and P. K. Atrey. Cyberattacks via Google Chrome browser extensions. In World Scientific Reference on Innovation Volume 4: Innovation in Information Security, Eds. S. Goel, Y. Hong, J. Giboney and P. K. Atrey (Chapter 9), World Scientific Press, pp 193-210, (2018). P. K. Atrey, A. El Saddik, and M. S. Kankanhalli. Digial video authentication. In Handbook of Research on Secure Multimedia Distribution, Eds. S. Lian and Y. Zhang, (Chapter XVI), IGI publisher, pp 298-314 (2009).